Wherever you go in the world, be it to a Moroccan oasis, a reindeer herdsmen's camp in Lapland, a fisherman's cottage on the Isle of Mull, or a sheep farm outside Rotorua, the chances are that if you turn the conversation towards rallying, there will be someone who will speak knowledgably about it; perhaps not so much about deeply technical matters, but certainly about such equally profound topics as strategy, driving skill and the sheer excitement of watching a performance which sets a driver streets ahead of his (or her, as the law now tells us) fellows. From Creggan's in Strachur to the Aero Club of East Africa, from the Pelican at Paphos to the celebrated "Pub with no Beer" in New South Wales, you will stand almost as good a chance of encountering an enthusiast as you will on the Col du Turini in mid-January. 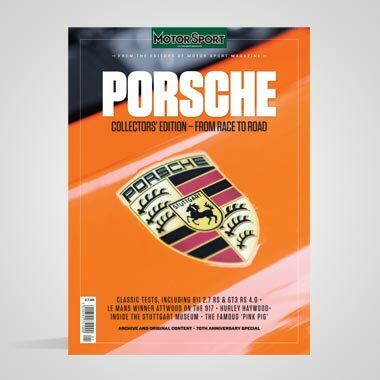 They will talk about the leading drivers, and the current crop of successful cars, but above all else they will talk of rallies themselves, some perhaps yearning for a trip to the Acropolis, others for a visit to Clocaenog. However, some events are held in greater esteem than others, and are spoken of with admiration (if they've been there) or awe (if they've not). Among this small group of elite events is The Rally of the Thousand Lakes. It does not necessarily follow that the country which produces more of today's champions than any other should be among the world's best at running the sport of those champions, but in the case of Finland and her premier international rally it is certainly so. 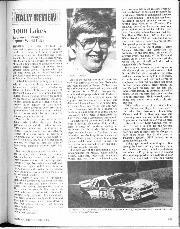 The reputation of the Thousand Lakes as a taxing contest demanding every ounce of effort is an enviable one. Just as famous is the nature of the roads used by the event, their endless undulations producing more jumps in a hundred yards than other rallies may have in miles. But not as well known is the way in which the organisers of this 35-year-old classic go about their tasks. Their quiet efficiency is quite remarkable, and whilst other organisers may be on tenterhooks until their events are over, the Thousand Lakes organisers display no such agitation, are invariably calm and can always be approached on the slightest of queries, even during tense moments of the rally. The whole operation ticks like a fine watch and is a pleasure to witness. The rally owes its unique character to the roadmakers of years past, who preferred to go up and down over all the undulations rather than dig cuttings and construct embankments. The resulting crests can be quite fearsome, and when they are interspersed with bends and cambers of varying degrees, the outcome is a very tricky network of roads indeed. None of these special stage roads have tarmac surfaces, but they have good foundations and are by no means rough. Indeed, they can sometimes be even smoother than some tarmac. The annual post-Winter repair of tarmac roads is costly at such northern latitudes, so all but main roads have dirt surfaces which are well maintained but are relatively cheap to repair. Central Finland is the area used by the rally, although nowadays it ventures more southwards than northwards from its base in the City of Jyväskylä. 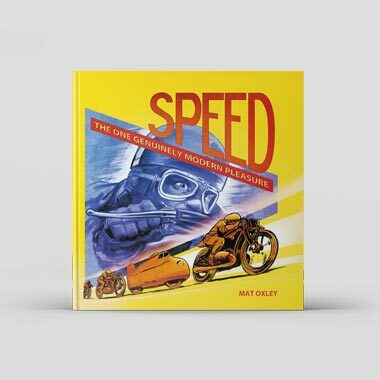 — just 25 minutes flying time by the country's excellent domestic air network, or nearly four hours by car on the good, fast, but speed limit-ridden main road. Various changes were made to the event this year to comply with FISA's limits, in the mistaken cause of safety, on distances and average speeds. Some well known stages— Humalamäki, for instance, just to the South-West of Jyväskylä — were dropped altogether, whilst others were shortened or otherwise modified to keep down the average speed. Quite a few of the stages have been described as new, but have been used in the past and were revived after some fallow years. This meant extra work during the two week recce period, for it has become the custom in Finland to commit as many stages as possible to memory rather than rely on pace notes alone. 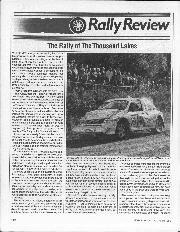 Most of the country's rallies do not allow practice, so the majority of its drivers knew very little indeed about pace notes, and when Thousand Lakes time came along they used the practice time to memorise as much as they could. They became so good at it that professionals who have perfected their note systems now do the same, relying during the event firstly on their memories, with the notes as reassuring back-up. During these weeks of practice, reconnaissance, training, note-making, call it what you will, there was considerable rain over the lakes and forests, and the roads were very slippery indeed. However, there was little chance of any serious tyre testing, for speeds during that time are strictly limited and enforced, with exclusion the penalty for transgressors who are caught. Happily, the rain stopped before the rally itself, although odd showers here and there made the going decidedly tricky in parts and there were many who slid off the road. Entries for this year's event were excellent, and provided close contests not only up front but down among the classes too. Peugeot and Lancia were there, continuing their World Championship duel, joined by Austin-Rover, Volkswagen, Mitsubishi, Mazda, Skoda, Lada, Wartburg, Trabant and various importers using Fiats, Audis and Fords. 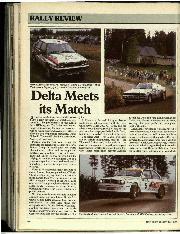 Ford itself was not there, but past winner Kyästi Hämäläinen drove a 4-w-d Sierra with Martti Putkonen. Peugeot had its regulars Salonen/Harjanne and Kankkunen/Piironen, and a third car for Blomqvist/Berglund "on hire" from Ford. Lancia used the same means of increasing its turnout, Alén/Kivimäki and Ericsson/Billstam being joined by Ford men Grundel/Mellander. The Boreham management is not at all possessive about its contracted drivers, taking the view that the odd event for another team when not required by Ford will keep them in practice and provide a little "intelligence" into the bargain. From Austin-Rover came MG Metro 6R4s for Wilson/Harris and Toivonen/Wrede, whilst a third car prepared in German was driven by Eklund/Whittock. Carlsson/Bohlin drove a 4-w-d Mazda Familia, Eriksson/Diekmann a Group A VW Golf, this time with 16 valve engine, and Laine/Virtanen a Mitsubishi Starion. 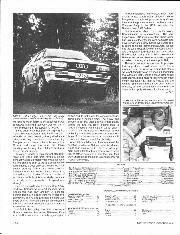 Gunnar Pettersson from Sweden had an Audi Coupé quattro, Lindholm, Heinonen and Lampi three other Audis, and Arpiainen a privately-entered Metro 6R4. 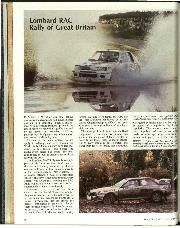 There was even a privately-entered Mitsubishi from Britain, driven by Robert Phillips and Stephen Leighton. The list, representing 12 countries and 26 makes, produced 164 starters, and that is as healthy as we have seen anywhere in these times of difficult rules and high costs. Just before the start on the Friday afternoon various helicopters began to reposition, and in the light of recent criticism of these aircraft, some justified and some most certainly not, we would say once again, from practical experience, that they can be excellent friends or bad enemies. A badly driven car does not bring cries for a ban on the automobile, and the idea of banning helicopters just because one is said to have been badly flown — and we have never witnessed a case of bad flying — is equally ludicrous. All too often, in order to be seen to be safety-conscious, organisers make the vague statement that a military aircraft is "standing by" somewhere. Others rely on the good offices of works teams to divert their helicopters if an urgent evacuation is required. In Finland, the organisers were far more positive; at their own expense they hired a large, properly equipped cas-evac helicopter, along with medical staff, and sent it around the country with the rally so that it would always be on the spot if required. How can such concern for competitors' (and spectators') safety possibly be criticised? From the start at the spacious, well-appointed but highly expensive Sandpiper Hotel in the suburb of Laajavuori, the first stage began just a hundred yards down the road and ran under the shadow of that frighteningly high ski-jump tower which reminds us each year that other sports can be far more dangerous. Markku Alén was quickest here, and indeed kept that lead, followed by the Peugeots of Kankkunen and Salonen (who did change places) for the first two legs of the three-leg rally. Rarely does a driver make a mark on his first crack at the Thousand Lakes, but we have to commend Malcolm Wilson for doing just that. 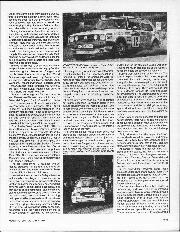 After three stages he was in seventh place, behind the three Peugeots and three Lancias, and leading the trio of Metros. Alas, it was short lived; on the fourth stage he slid off the road and needed the help of spectators to regain it. But that was just the start of the incident. The gang of helpers found that the Metro's bodywork presented them with nothing really strong enough for them to heave against, and the result was very little movement of the car but quite a bit of damage to its body. There was nothing for it but use the old Carlsson trick for getting Saabs out of African mud. The Metro was rolled on to its side, then on to its roof, then on to its other side and back on to its wheels. 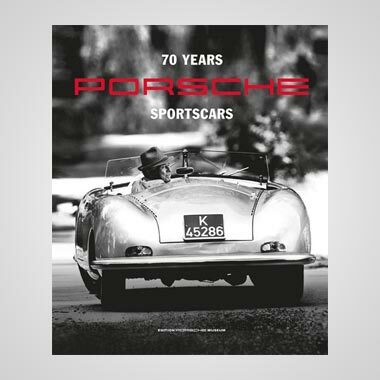 It was a pretty drastic manoeuvre, but the only course under the circumstances and the car did get under way again, albeit with such a tattered body that mechanics were convinced that it was going no further. Apart from its handling affected by deranged aerodynamics, there were no real mechanical consequences, although when darkness fell and the time came to fit the lamp unit, the brackets were found to have been distorted and the lamp beams were too low. Early retirements included Ingvar Carlsson, whose Mazda lost all its engine oil, and Antero Lain, whose Mitsubishi first lost power due to turbocharger failure and, rather later, stopped altogether with a blown cylinder head gasket. At Tampere, where the first rest stop took place after ten stages, the first six cars was a mixture of Lancias and Peugeots — Alén, Kankkunen, Salonen, Grundel, Blomqvist and Ericsson in that order, with 2m 14s separating first and sixth and Alén's lead extended to 38 seconds. In the second leg, however, damp roads produced various tyre changes, and Alén's slow but relentless advance seemed to be checked. He didn't seem to be going slower, so one concludes that the Peugeots must have found fractionally more grip. Grundel spun twice after a tyre began to deflate slowly, and broke both a drive shaft and a wishbone against a rock, whilst Blomqvist had a most dramatic roll (on to Berglund's side!) after going sideways over a crest and actually jumping backwards. They lost very little time indeed, although Ericsson needed some work on his car when a heavy landing broke a front suspension and gave Billstam a sore neck. These delays to Grundel and Ericsson spread the team so much that the service schedule was somewhat stretched, but Alén was still out in front and getting all the support he needed. It was about now that Salonen began going faster. He overtook team-mate Kankkunen, and started to get closer to Alén, although the Lancia driver was very conscious of the advancing Peugeot behind him and pulled out an extra stop. Grundel lost more time when his Delta's handling went wrong, found later to be due to loss of proper tracking. Toivonen needed a replacement electronic "box" and lost a little time having a broken exhaust welded up whilst Wilson was spending his time climbing back up the field despite brake failure due to a loose union, a broken prop shaft, power steering failure and some anxious moments until overheating oil was traced to a blocked cooling intake. Quite a chapter of accidents, really, but this is not at all uncommon in a rally which demands both speed and strength. Back at Jyväskylä after the second leg, Alén's lead over Salonen was just 18 seconds, whilst Kankkunen was only another 24 seconds behind. Behind, the gaps were much bigger to Blomqvist, Eklund and Ericsson, so there was every chance of a triangular fight at the head of the field, with both Peugeots pushing hard to unseat the Lancia. Not far into the final leg, soon after dawn on the Sunday, unseated it was when Alén went off the road and had just as much trouble regaining it as Wilson had. In fact, it was the very same stage, being used a second time. The delay was enough to put the Lancia down to third place, behind the two Peugeots, putting paid to Lancia's hopes of winning the World Championship with the Delta S4. However, by our reckoning — which does not always agree with those of other observers — a points tie is still possible, in theory, though hardly likely. After Alén's misfortune, there remained the question of whether Salonen and Kankkunen would each continue to strive for a win, although most people felt that team orders would forbid this. Whether instructed or not, they kept their order and reigning champion Salonen scored his first win of the year. The Championship for Drivers, with four more events to go, is still open, although neither Peugeot nor Lancia will go to the Ivory Coast, they will keep their options on December's Olympus Rally in the USA until after the Sanremo and RAC Rallies. Finally a word about points in the World Championship for manufacturers. The year began with a FISA-inspired system where teams had to register the intentions and nominate their drivers in advance. Only those drivers were able to score points for their manufacturers. 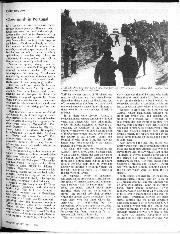 We felt that the system was unwieldy and less than fair, and eventually FISA must have been persuaded likewise, for during the Corsica Jean-Marie Balestre announced that the nomination system would end, starting from the Acropolis Rally. Juha Kankkunen (SF) -- 91; Markku Alén (SF) -- 69; Massimo Biasion (I) -- 47; Timo Salonen (SF) -- 43; Bruno Saby (F) -- 38.